1592C.1591 Alfred Potter 9 BIGELOW, son of Samuel 8 ( Ebenezer 7 , Ebenezer 6 , Amasa 5 , Isaac 4, Isaac 3, Samuel 2, John1) and Catherine (POTTER) BIGELOW, was born at Canning, Kings, NS on 26 August 1895 and married on 23 January 1924 Hilda A. Dingham. They resided in Aylsham, Sask., where he was a school teacher. 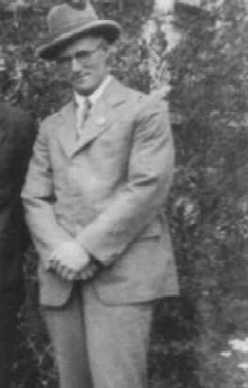 Alfred died on 06 July 1955 Nipawin, Sask. Hilda died in 1986. Forge: The Bigelow Society Quarterly Vol. 19, Nos.1, 2, & 3..1990. Research by Donald J. 10 Bigelow, Lumby, B.C.